Olympian Chloe Kim’s ‘Breakfast of Champions’? SPAM! In an interview with USA TODAY, Kim’s father, Jong Jin Kim, said his 17-year-old daughter grew up eating SPAM. Hawaii people might be surprised to know they have something in common with Olympic gold medalist Chloe Kim. In an interview with USA TODAY, Kim’s father, Jong Jin Kim, said his 17-year-old daughter grew up eating the canned cooked meat. “When she was very young, she was eating the Spam, at least once a week,” the 62-year-old said. “We always have Spam in our food storage. We don’t eat it every day, but at least once a week. Chloe Kim’s parents are both from South Korea, which probably explains why they too consider it a staple in their diet. Like in Hawaii, Spam products are prominently displayed in stores all over South Korea. Its roots can be traced back to the early 1950s during the Korean War, when U.S. soldiers introduced the canned product. By the end of the war, it became revered as a special treat and a luxury item for many. 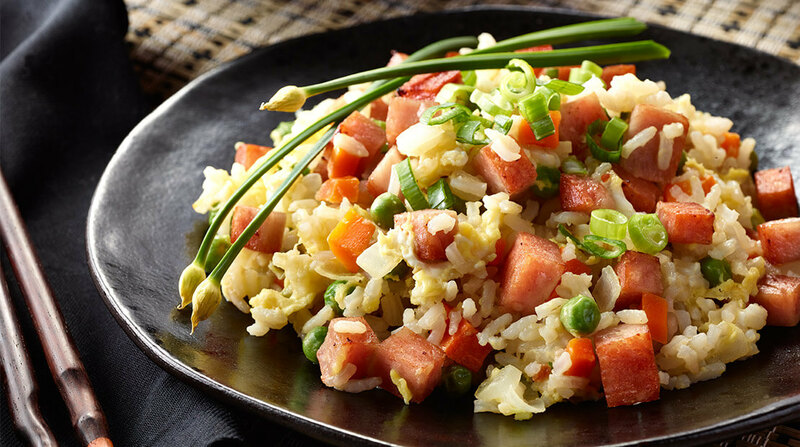 Today, Koreans incorporate Spam, now a relatively cheap product, into dishes like stews and fried rice. But the Kim family’s dish of choice? Spam sushi.